This is a smooth, flowing, mindful yoga class. This is a wonderful introduction to yoga, or a great weekly practice for those already enjoying the benefits of yoga. A simple yoga practice gently moves and stretches your body for a healthy posture and improved flexibility. Deep breathing exercises help to calm and rejuvenate the mind. An atmosphere of peace and tranquillity will lift the spirit, and release stress, while you are soothingly led through each movement. You are continually encouraged to go at your own pace and listen to your body. A simple morning yoga practice will wake your body and freshen your mind giving you a big spark of energy to move into the rest of your day. 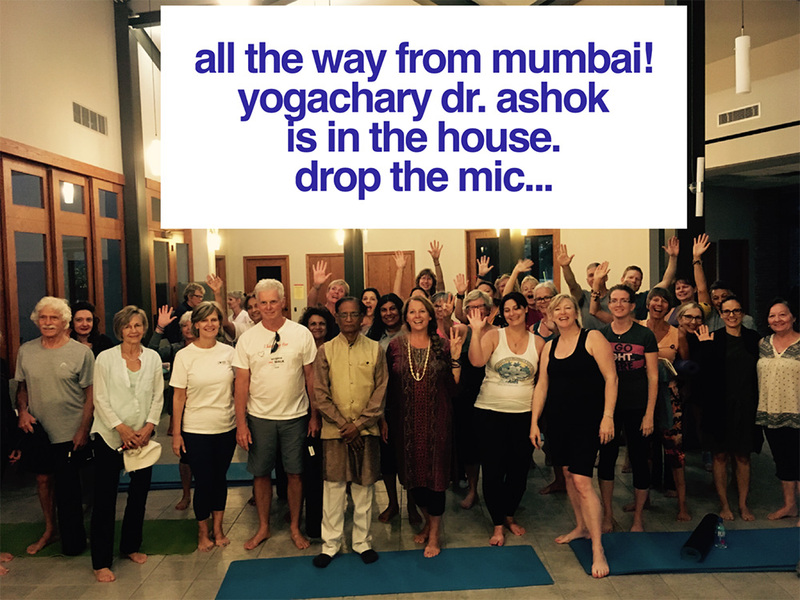 This class includes the breathing tecniques recomended by Yogachary Dr. Ashok. Each class we build up the strenghth of our lungs and heart to assist us in raising our levels of stamina. A simple morning yoga practice will wake your body and freshen your mind giving you a big spark of energy to move into the rest of your day.